As I approach my sixtieth birthday, I imagine the time is ripe to resolve some of the questions I’ve been getting in regard to the origin and development of the Dramatica Theory of Story and its principal concepts and implementations. So, here is how it happened (to the best of my recollection). Chris and I met at the University of Southern California. I was a cinema major, and his room mate, Mark, was my partner in one of the required film production classes. Chris was not a cinema major, but was taking some courses as part of wider “Thematic Option” program in which he was allowed to design something of custom degree and to choose his own classes. The three of us became rather like the Three Musketeers – the two of them on campus, and as I was recently married just before going to USC, I lived off campus. Partway through my degree, even though my dad was paying for the school and even offered to pay for our apartment, my sense of pride and ethics wouldn’t allow me to accept his generosity, so I quit school to work in the film biz. I spent about a year at one job, as a production assistant and eventually editor, and then obtained another at a much larger production company. I started as a camera assistant and had just worked my way up to full editor on segments for a television show called “Real People” when another of their shows was cancelled and I was demoted to manager of the shipping department – quite a let down, as I had been making movies since I was 12. But, we needed the money. I was pretty depressed, but I came up with a plan to raise money and direct my own feature film rather than just moan about the situation. The company (Dave Bell Associates), now defunct, took pity on me and let me use their equipment and van at no charge on the weekends. Our movie, The Strangeness, (you can buy it on Amazon.com or look it up on imdb.com) was a pretty interesting atmospheric monster movie, especially considering the budget was only $25,000. We built the set in my grandparent’s backyard in Burbank, and lit it with lanterns and road flares. Stop motion monster. Had a chapter devoted to it in the book Nightmare USA about 1980s monster movies. (We finished the film in 1980). We never got our money back, but we all formed a bond that holds to this day. After completing our first feature, Chris and I decided to write another one. We called it The Terminator before that title was picked up by someone else. But, we realized that our first story had a lot of flaws and we didn’t want to make the same mistake twice. One night at about 2 a.m. in the editing studio behind my home, we decided to put our heads together and see if we could find any truisms of story structure we could count on, at least for action films, that could form a better foundation for the screenplay to come. This was the moment that the Dramatica Theory of Story was born. But were these always true, or just in some contexts or some genres? And were they the tip of a structural iceberg – the corners of a hidden network of interconnections that represented the holy grail of storytelling? To find out, we reasoned we should start from scratch – put aside anything we had ever heard about structure, avoid reading or learning any more about other people’s ideas, and figure it out for ourselves from the ground up. Now while this might seem pretentious, you have to put it in context of a time in which very little was actually known about story structure in a definitive sense. So, there wasn’t that much previous knowledge to ignore if we went back to basics. In fact, we thought, even if we re-invent the wheel, at least we’ll have the process by which we came to the same conclusion others had and that should help validate it. But where to begin? The decision was actually pretty simple. We discussed how there seemed to be four major areas that impacted structure – characters, plot, theme and genre. We knew nothing about genre or theme, we knew precious little about plot, but we did know a tad about characters. Regardless, the movie was new, clearly worked well, and seemed to deal in archetypes. By listing the principal characters in the movie, we figured we had a good list of characters from which to start. So the first order of business was to list the characters that kept cropping up in Star Wars and then in other kinds of movies we wanted to write. In Star Wars, Luke was clearly the Protagonist and (at first) we pegged Darth Vader as the Antagonist. We then noted that Princess Leia was Intellectual character (cold and driven by logic) and she had an opposite counterpart, Chewbacca, an Emotional character who openly expressed his passions, never making a plan. We jotted down the droids as the faithful Sidekicks and identified a Skeptic character, Han Solo, who seemed to be diametrically opposed to the nature or outlook of the Sidekicks. And then we found a Guardian character who protected the Protagonist: Obi Wan Kenobi. This gave us a total of seven character types. Kind of a magic number. But we noted that the first six characters seemed to fall into pairs of opposite natures or approaches – Luke and Vader, Leia and Chewy, Droids and Han. And then there was the Guardian, all by itself. We got into a long debate about whether or not story structure (if it existed at all) was symmetrical or not. Could it have some things that had counterparts and other things in the same set of things that just hung out there alone? We wanted there to be symmetry. It just felt better. Nature abhors a vacuum, and a hanging character created a conceptual hole where its opposite “should” be. So, what’s the opposite of a Guardian? Well, it would be a character who “un-protected the Protagonist – screwed things up for him, rather than protecting him. Kind of like an Antagonist, but not directly opposed to the Protagonist – more like the monkey wrench in the works. Was that character in Star Wars? In fact it was: Darth Vader! We had thought he was the Antagonist (like everyone else did – all black with flowing robes and the first evil figure to show up in the story). But when you thought about it, Darth wasn’t the head bad guy – that was the Empire itself, as made manifest in the Gran Mof Tarkin. Vader, in fact, was just a henchman for Tarkin, and a rather loose-canon type as well! So we called this character the Henchman, since he was the sidekick to the bad guy just as the common “sidekick” was the faithful supporter of the Good Guy or Protagonist. But wouldn’t that then made Vader the equivalent of the side kick droids, C3PO and R2D2? Well, that’s true in the way they are used in that particular story, but in fact, Vader represented the Dark Side of the Force and was really the opposite to Obi Wan who represented the Bright Side – Obi Wan, the Guardian, vs. Vader, the… well…, what should we call it? Now I honestly don’t remember if it was at that time Chris coined the word “Contagonist” for that character type, or if it he came up with it about ten years later when we began a major effort to push our theory forward. Either way, while we both discovered the function of the character, Chris named it. In fact, a most of the names for things are his creations, though not exclusively so. We then switched our attention to plot and found something we called the Rule of Threes. Basically, it meant that everything in the plot had to happen three times. First, to introduce something, then to interact it, and then to show the outcome. Chris named that too: “Rule of Threes”. Alas, the Rule of Threes didn’t always hold up. We ran into more and more exceptions – even in the narrow genres in which we wanted to work. It often held true, but not always, which didn’t really help us define story structure in concrete terms at all. After a few of weeks of growing frustration, Chris wisely put forth that we just didn’t yet know enough about life, the world, or stories to get beyond this point. He suggested that we put our work on hold and come back to it some years later when we had more experience, and I agreed. Chris graduated and went off to work as an IMAX cameraman doing special effects. I went on into the business as an editor and later as a writer and director of industrials, educational films, television commercials, documentaries, a music video and one more low budget family feature in which Mark had a major role. Fast forward ten years to 1990. 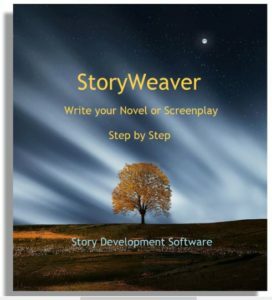 Chris and Steve have gone on to form Screenplay Systems and Steve programmed Scriptor – the world’s first screenplay formatting software (for which he and Chris later received a Technical Achievement Award from the Academy). If not for that call, Dramatica would have died before it was barely born. But, I was having a miserable time on that feature and really wanted to do something else for a while, so the idea was appealing to me to. Over breakfast, we discussed where we had left off ten years ago, that we could already see some new directions to take, and that we’d like to get together at his place (or more often mine) for an hour of chat and coffee every morning before Chris went off to V.P. and I went off to edit. We began to talk about our findings with other friends, and Chris told his partner, Steve, about them. 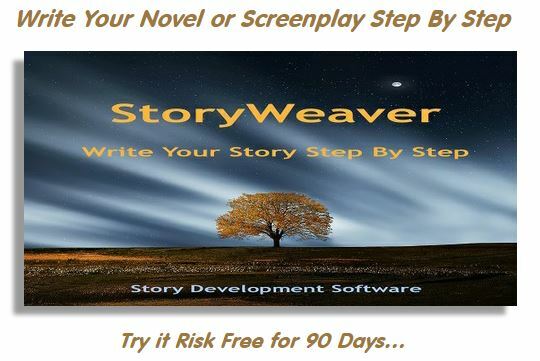 Screenplay Systems was considering creating story development software in conjunction with a known story “guru,” but the more he heard about our embryonic developing theory, the more Steve became convinced that it made a lot more sense and might be a better way to go. Over many lunches we all discussed the ideas that were being created until Steve asked for a formal presentation of our work. As sketchy as it was, we put it together as best we could and Steve then completely embraced it and he and Chris cancelled their other plans, and I came on board as an independent consultant to join Chris in developing it. Chris, of course, still had to be the business operations manager for Screenplay System, but I put full time effort into advancing the theory. In fact, every weekday for three years, I was basically shut in a room with stacks of post-it-notes of various colors, and a wall-size dry marker board to crack the story structure code. Chris’ office was right down the hall so we compared notes all day long. (I had an office too, but spent most of my time with the white board and post-it notes in the conference room.) They hired two programmers to build the model we were developing, but one didn’t believe such a theory could be true, so he kept altering what we wanted him to do to match his own notions of what would make more sense. We had to let him go. Then, the next programmer was so much the opposite and bought into it so thoroughly that he used the model to analyze his own life, realized he really didn’t want to be a programmer and quit! That left Steve, who took over and became the primary programmer on the project. Once we had the computer model built, we went through several revisions of the software, but the theory and story engine never changed, not though all these two decades. It is symmetrical, elegant, beautiful and accurate. Now, we’re going to back track a bit – back to the time when Chris and I first started the project up again, ten years after putting it hold, because that is where the breakthroughs began. And now you will learn who came up with what. After we bopped around our old ideas for a while, Chris asked the question: “If a character, like Scrooge, is the cause of a story’s problems, why doesn’t he see that?” It was a really good question! What could be the mechanism by which a character wasn’t just consciously denying that he is the source of the troubles, but actually can’t even see it? And to carry that forward, what brings him to the point where he does see it? And then what determines if he accepts it and changes or rejects it and keeps on going as he was? Chris coined the phrase, Blind Spot, to describe a point in one’s mind where we cannot consciously see. In fact, a place that is so dark it is invisible – we don’t even know it is there. Next, Chris reasoned that if something was going on in the mind of the Main Character (as we were now describing the Protagonist) that blocked the truth from it, then it must be psychological in nature. So, rather than plodding on ahead focusing solely on structure, we ought to take a side trip into the psychology of the Main Character. Again, Chris’ ideas entirely. In fact, he drove most of the innovation in the initial days and I was his sounding board. As we progressed those roles became even and then reversed to a degree because he put his efforts into discovering ways to apply the theory to structuring stories, whereas I became fully focused on continuing to advance the theory itself. From our investigation of the Main Character’s Psychology, Chris came up with the the notion that blind spots were caused by rationalization (which we later renamed justification because it involved more than just rationalizing). The notion of rationalization led to a big ongoing debate about the difference between objective reality and subjective reality and especially as to whether there was an objective reality we all saw subjectively, or whether “objective” reality did not truly exist and was no more than the common areas of agreement among all of our subjective realities. In essence, it was the old Socrates/Plato argument about whether our concepts such as “bed” exist innately in our minds and all real beds are imperfect attempts to manifest the ideal, or that there is no perfect ideal and all of our functional attempts to construct beds create the concept of bed which continually refines itself. Form follows function or function follows form. In the end, we concluded that men and women see the answer to this differently. Men, due to the way their minds are wired, tend to believe in an objective reality, while women tend to believe in a subjective reality. Problem is, while women’s subjective relativity can admit that men can have a completely different but equally valid view of reality, men’s objective reality cannot accept that women can have a different view unless one of the sexes is wrong. And it isn’t them because an objective reality is more logical and logic trumps intuition. So, as a part of our little side trip, we discovered that men and women actually experience the universe (existence) in a different way, and Chris was forced by the logic of the argument to accept that the woman’s view is equally valid as his, but it is just as true that is is not as valid to him. Now this is the point beyond which we both started making equal contributions to the advancement of the theory. We reasoned that if there were two primary views of reality, the male truth and the female truth, that both would be needed to triangulate a big “T” Truth. Armed with that expectation, we felt that if we could follow male and females Main Characters through a story and see what kinds of things they did and thought about, perhaps we could see some of the elements of structure and the order in which they occurred. Then, by comparing this information from many stories, we might see repeating patterns and even, if we were lucky, absolutes that would be the most solid and unchanging building blocks and “rules” of story structure – essentially, the elements of dramatics. So, we set about watching a number of movies. We still weren’t investigating to see if any of our ideas also applied to books or plays. We wanted to make movies, and the whole reason for investigating story structure was to help us do that better. We began to compile lists of words that described things like the subjects the main character was talking about, that described how they felt, what they thought, and what they did. Aware of the differences between our two perspectives, we found that while sometimes we discovered the same concepts, other times we could see elements at work that the other hadn’t noticed. In time, we had compiled quite a list between the two of us. As we were looking specifically for the psychological processes at work within the mind of the Main Character and particularly for the processes of rationalization (still using that word at the time) we felt that those terms might indicate the nature of the how a blind spot functioned over the course of the story. One of the first things we discovered was that the subject matter of most concern to the Main Character (the things that created the greatest internal conflict) was the difference between what he “could” do vs. what he “needed” to do and also between what he “wanted” to do and what he “should” do. These words were refined to Can, Need, Want, and Should. We realized that while conflict might exist between Can and Need and also between Want and Should, there was another equally valid way to pair them up that illustrated a different kind of potential conflict. Can might be paired with Want and Need with Should. In this arrangement, the conflicts would be between what you Can do vs. what you Want to do and also between what you Need to do and what you Should do. So, as we understood it, Can/Need conflict is about ability measured up against what is required, Want/Should is about desire that come up against ethical considerations, Can/Want is about whether ability is sufficient to satisfy one’s desires and Need/Should is about logistic necessities vs. ramifications (emotional, ethical, or practical). We decided that these four items were interconnected, something like a family of primary concerns. And we found that if we organized them by putting into the four corners of a square, both kinds of pair relationships could easily be seen. We put Can in the upper left, Want in the lower Right, Need in the upper right and should in the lower left. So, the top horizontal pair represented Can and Need (both external or perhaps logistic) and the bottom horizontal pair represented Want and Should (both internal or perhaps emotional). The Can/Want diagonal represented the most basic drives, while the Need/Should diagonal represented the situational or contextual consideration. We named this arrangement a quad. So, we had one quad of psychological items that were driving the Main Character. Were there others? Surely there must be, for Can, Need, Want and Should are not a blind spot; we can all see those quite clearly within ourselves. If they were part of the creation or psychological maintenance of a blind plot, there must be other components to the process that helped hide parts of ourselves from ourselves. To discover them, we went back to stories and observed more of what the main character did and thought. In time, we catalogued four more psychological attributes of a Main Character – Commitment, Responsibility, Rationalization and Obligation. These seemed like they described the next step from Can, Need, Want, and Should in creating a blind spot. It was as if they described aspects of ourselves we locked in place as a result of having determined Can, Need Want and Should. Can motivated our Commitments while Need, determined our Responsibilities. Want was the driver of our Rationalizations while Should generated our Obligations. Since there was a direction path from our original quad to these four items, it was quite natural to arrange the new ones in the same pattern. In fact, this new family of four items had the same arrangement among them as did the original family of Can and Want, Need and Should. Well, we were pretty happy with ourselves. To our knowledge, no one had ever described the way the items in these two quads related to one another before, much less how one family related to the other. But, where there any more families? We began to think about the relationships of one family to the other. It seemed like the whole family of Can, Need, Want and Should was a little more basic and close to the immediate concerns of the Main Character than his Commitments, Responsibilities, Rationalizations and Obligations. In fact, they seemed like they operated at two different levels of complexity. In other words, the new quad of four seemed a bit father along the path to the creation of a blind spot. So, we went back to analyzing films and simultaneously gave the question some good old fashioned head bashing such as, if Need leads to Responsibility, what does Responsibility lead to? How about Commitments, Rationalizations and Obligations? What’s more, if there is something farther along the path toward a blind spot, is there something at the other end of the path that is even more basic than Can, Need, Want and Should? Eventually, we catalogued two other families – one more complex or of a higher order consisting of Situation, Circumstances, State of Being and Sense of Self. Yep, that was pretty complex. But it described the external logistic condition (Situation), the external emotional condition (Circumstances), the internal logistic condition, State of Being, and the internal emotional condition, Sense of Self. Honest to gosh, this is what we really did, though talking about it now, it sure seems like we were making a lot of unsupported leaps. Glad it worked out! On the more basic side, we realized that what a character Can do was based on Ability, but limited by all the restrictions imposed by all elements in the more complex families. Similarly, at the heart of Want (a lack) is Desire (an attraction). At the center of Should, essentially the driver that builds a sense of Should, is Thought (not just acting without thinking but considering the ramifications). And the kernel of Need is Knowledge – information, we can’t need what we don’t know about. (Sure, you can argue that philosophically, but in terms of the Main Character’s drives, if all these things are descriptors of his personal considerations, then Knowledge of some problem or inequity leads to an assessment of Need – what is required to accomplish it; to get it done. Now this almost seems counter-intuitive at times, and believe me it took a LONG time to get to the core. But when we added that final family in consisting of Knowledge, Thought, Ability and Desire, we knew we had discovered a deeper insight into the psychology of story structure than anyone had before. Or at least a different one, assuming we were actually deluded and barking up an interesting but ultimately useless tree. Now we had a pathway to the creation of a blind spot: The Main Character first considers Knowledge, Thought, Ability and Desire. When one of those indicates that a problem exists, the hunt is on to find a solution. So, we (the Main Character) look outward toward the lack or limitation that is constricting these four basic concerns. Knowledge tells us what we Need, Thought tells us what we Should, Ability tells us what we Can and Desire tells us what we Want. If the problem is solved on the spot right there, great! But if not, we realize it is going to take some time so we put some long-term motivations into play: We make Commitments based on what we Know, we lock out Thoughts in a pattern that will keep us moving forward – Rationalization. We take on Responsibilities in response to what is Needed, and we Obligate ourselves because we Should. If the problem is still not solved, we begin to question why. We investigate who we really are, our State of Being which is defined by our Commitments. We examine that in comparison to who we think we are, our Sense of Self, which is defined by our Rationalizations. We question our Situation, which is defined by our Responsibilities, and we examine our Circumstances as defined by our Obligations. By the time we get to this level which is most externally focused, we have shifted our view from ourselves to our environment, and in so doing we have created a blind spot of any initial inequity in our most element family of personal concerns, Knowledge, Thought, Ability and Desire. We have come to look outward instead of inward and thereby no longer see ourselves as the cause of a problem but as if the problem exists externally to ourselves, just like Scrooge. We had done it! But was there more to learn about the process and how it related to the structure of stories? And for that matter, what other element beyond the Justification process might be contained as part of story structure? To find out, we decided to focus on that primary quad that we came to call TKAD – the essential quad of all – the one that most clearly illustrated the internal relationships of a quad family. We called it TKAD instead of KTAD because we favored thought over knowledge. I became convinced that the relationships in this family of elements could be reduced to an equation or equations. In fact, I became obsessed with it. Chris was much more practically minded and wanted to move on, arguing that we already had so much useful material and that the elusive equation, while conceptually intriguing, was not immediately applicable and we could go back and work on it later. We compromised. I woud have one week to solve the equation or we would put it aside. The week was to end on Friday. I struggled all week – trying to boil down these relationships into a single mathematical formula – the horizontal and diagonal pairs, the path of Justification. I explored all kinds of approaches, trying to conceptualize and refine – to get down to the essence. Nothing worked. Every idea fell short. It was Friday afternoon. The deadline was approaching. It was the height of summer and our bedroom was in an add-on patio in the back of the house with an aluminum awning roof and no air conditioning. Worse, I was in the middle of hormone therapy and had just been given an increased prescription by my doctor that I had started just a couple days earlier. In my sleep, I dreamed. I felt like I was on some spiritual plane (yeah, I know how it sounds) and I was shown all the secrets of the universe and I actually felt I understood them! All the great secrets – is there a God? What is the meaning of life? Is there an after life? Does the universe go on forever, or does it end? How could we ever get to this point if time is infinite, including stretching infinitely into the past? And a voice told me (yeah, I know how it sounds, but it was just a dream, so give me a break) – a voice told me I could take the answer to one question – but only one – back with me when I awoke. I thought about it, but already knew what my answer would be. I wanted that damned equation! And in my dream, I saw the answer, as if it were a tangible thing. i reached out, put my hands around it, pulled it to my chest and literally threw myself awake. Just like the movies, I bolted upright from a dead sleep, my arms clutching air tightly to me. But the answer was really there. And it was fading fast. So I leapt from the bed, grabbed a pen and paper I kept nearby and quickly scrawled, “One side divides; the other multiplies.” Wonderful! Brilliant! What did it mean??? It took only a moment to realize that the four items in a family are made up of two pairs, no matter now you slice it. And the function of the process of problem solving / creating a blind spot is described by the relationship of what is going on between the pairs, rather than among all four elements. The equation, written down as a/b = c*d. One side divides and the other multiples. One pair is seen as separate items, the other as the blending of both items of the pair. In talking it over with Chris, we determined this meant that when the mind is operating in any given quad family and it is seeking to find the source of (or solution to) an inequity or problem, it examines the elements of the family individually to see which might be the source (or solution). “a” divided by “b” ,as in the equation above, means that “a” is being parsed or analyzed by “b.” And the multiplying side, “c*d” means that “c” and “d” function like ends of a spectrum or a ruler – a base line against which the results of “a/b” can be measured. This equation – this relationship among the pairs and elements of a quad – became the quintessential equation of story structure that not only described what we had already learned but opened the door to all future discoveries to come. Applying it to the basic KTAD quad gave us T/K = AD – not a math equation but a logic equation – the essential relationship among the core elements, the four bases of the DNA of the mind. Do a little algebra to solve for T by multiplying each side by K and you get the form T = KAD. The form begins to look familiar. Now, there’s all kinds of reasons for that that we figured out later, but if you wanted to know how the equation came to be, there it is. When I stood up from the paper, I realized the metal roof had raised the temperature in the room to well over one hundred degrees. My mouth was dry and tasted awful, so I went to the bathroom to brush my teeth and reached for the “red.” And I stopped, and asked myself, why am I reaching for “red.” And then I realized that I was going for the toothpaste, which had a red label on it. But I had never done that before. Previously, all of my life in fact, I’d always reached for the shape of the tube, not the color. So I went outside in the front yard and the dry straw-like grass of summer seemed like a neon yellow, and the colors of the houses on the street and the sky glowed with fluorescent colors not unlike street lights at twilight. And then it struck me – the amazing set of circumstances that had converged upon me at just the right moment – the deadline putting my mind under pressure – being halfway between sleeping and waking and therefore halfway between the conscious and subconscious – and being at just the right point where my increased dose of hormones shifted the operation of my mind from linear to a momentary perfect balance with holistic thinking, from linear logic-based to non-linear passionate logic. And all of this in the stifling heat of that oven of a back room. From that moment forward, I began to take more of a proactive lead on major theory breakthroughs, while Chris became more and more interested in pursuing practical applications of what we had discovered. That is not to say that Chris didn’t continue to make his own breakthroughs in our joint journey of discovery, but simply that his interests were more in getting our concepts into a form folks could use. As I recall, this was just a few weeks before I started working full time on the theory over at Screenplay Systems, which would make it sometime in June or july of 1991. I may have jotted down the experience with a specific date in my writings somewhere, but I’ve generated so much text over the years that I wouldn’t know where to look. In any event, things really started moving forward once I was putting my mind on this for eight hours a day. The first thing I did was create post-it notes – one for each of the psychological terms we had discovered in story structure by watching films. I put these on the wall of my office and started arranging them into families as best I could. Sometimes, families were complete and other times they only had one, two or three items that we had actually observed. After a while, enabled by knowing the basic TKAD quad and having completed quads as examples, I was able to start completing partial quads not by observation of stories from film, but by finishing the quad pattern in terms of the relationships among the items. For example, if one quad had K type item, a T type item and an A type item than the fourth and final item must be a D type. Since each quad must have a family “feel,” that suggested the realm in which each semantic (name) item should be put. And then by seeing how (in the example above) K, T and A related to the missing quadrant in the quad, one could calculate the semantic name value that needed to be in that empty space. It was really just a process of triangulation or, rather, quadrangulation, in which one simply cross referenced what was known to determine what was not known. In fact, that is how one uses Dramatica’s Story Engine even today – answer questions about the story you want to tell or the real world scenario you wish to analyze based on what you do know, and the Story Engine will cross reference all that material to determine the rest of the underlying narrative psychology that must, therefore, be present. While I did most of this work, it wasn’t really invention, just work. And the only reason I did more was that Chris and Steve were fronting the money for my full-time effort while they both had a big company to run. Still, Chris and I would confab several times daily, me filling him in on what I’d done since our last talk and he contributing to the process of filling in quads when he saw a connection I hadn’t. Steve, Chris and I had lunch every day and discussed the broader implications as well. Now one of the big goals of this project was to to see if there was a bigger pattern – an overall organizing factor that might show relationships among the quads themselves, rather than just among the element within each quad. To look for this pattern, we started organizing the elements and the quads in categories on the wall, as you would in a spreadsheet. Each category had a heading and under it fell the elements, like a periodic table of story structure elements. Some of the elements were in quads, others were solo, but no real pattern had yet suggested itself. We started to consider that perhaps four quads might also come together in a quad of quads – four quads that shared among themselves the same TKAD relationship. And so, we added that additional layer of complexity which began to organize the items on the wall even further, except for the partial quads and the single items which still just hung out there on their own. Now one problem we had was in many cases we weren’t sure we had the right words in a given quad. On the one hand, they had the required TKAD relationship, but on the other hand, they each carried different weights. For example, suppose you had a hypothetical quad that had Thought, Knowledge, Ability and Want. At first this would make sense, but it would require realizing that Want was actually a conditionally limited version of Desire to determine that it was not really in the same quad family, but in a related family of Should, Need, Can and Want. This may have been just work and not inspiration but it was hard work, exacting work, and extensive work as the list grew into scores and scores of items. In many cases we weren’t even sure some items belonged on the wall at all! For example, the word “psychology” itself was there at one point, until we realized that wasn’t an element but a description of what the elements meant, in terms of the main character, so we removed the word. Similarly, we realized that the word “justification” didn’t belong in the quad of Commitment, Responsibility, and Obligation. The proper word at that level was Rationalization while Justification described the process of moving away from core values to contextual ones. So, we came to understand that the main character’s mind, at the purest understanding of its seminal motivations, was driven by TKAD, but then outside limiting concerns “justified” not acting on those basic drives and instead forming a plan of action based on Should, Need, Can and Want. But, even those had limitations imposed by environment, and they evolved into Rationalization, Commitment, Responsibility, and Obligation. (See how Thought becomes Rationalization and Ability becomes Responsibility, for example). And finally, even that quad is further justified as it moves into considerations of Sense of Self, State of Being, Situation and Circumstances. By the time the main character’s mind has made this journey of justification from the primary quad to the forth quad, it has shifted from a completely internal perspective driven directly by the elements of oneself to a completely external perspective driven by elements outside of oneself. Psychologists call this projection, and we had (for the first time on the planet, as far as I know) actually created a flow-chart that described all the key steps in the process. And all of this from looking for elements of the psychology of the main character in order to understand his blind spot and how it operated and then organizing those results in quad form guided by the TKAD equation. Quite a distance from our starting point already, yet so much further to go! Speaking of characters, we had not given up on our initial work with archetypes either. While we were working with our quads and post-it-notes, we were also seeing if our set of eight archetypal characters could be found in every story that rang true, not just in Star Wars. Almost immediately we ran into trouble. Our next favorite film in the loose genre we liked was Wizard of Oz. We matched our archetypes from Star Wars against those characters. At first things looked great: Protagonist – Luke and Dorothy, Antagonist – Empire (Tarkin) and Witch, Guardian – Obi Wan and Glinda, Contagonist – Darth and Wizard, Sidekick – Droids and Toto, Skeptic – Han Solo and the Lion, Resaon – Leia and the Scarecrow (who came up with the plans), and finally Emotion – Chebacca and the Tin Man (who cries and rusts himself). Clearly, we were missing something. We discussed it endlessly and the only to options seemed to be that either there were more archetypes than the eight we had originally catalogued, or there was a deeper level – smaller components of character than the archetypes. Since the differences between Star Wars and Oz characters seemed to be along an internal/external line (with the Start Wars characters being consistent in and out, while some of the Oz characters were one way inside and the opposite way outside, we decided to try and describe the internal and external characteristics of the eight archetypes we already had. We asked questions such as, if the Protagonist is the one driving the effort to achieve the goal, what is his external nature. Eventually, we settled on “Pursue” as the word to describe what he did externally. No matter what happens to him, the Protagonist will Pursue the goal – he can’t help it; it is his nature. And when it comes to the moral issue of the story, he pursues the answer to that too. Internally, this manifests itself as Consider. So, the Protagonist is the driver toward the external and internal solutions to the story’s external and internal problems, giving him the external and internal characteristics of Pursue and Consider. That’s why he’s the Protagonist as opposed to say the Reason archetype who will always remain Controlled, his external characteristic, while relying on Logic, internally or the Emotion archetype who is Uncontrolled on the outside and is driven by Feeling on the inside. We could begin to see why these character were archetypes – their external and internal characteristics were in alignment. Protagonist pursued externally and pursued or considered internally. Reason was controlled externally and controlled or logical on the inside. Emotion was uncontrolled on the outside and uncontrolled or driven by feeling on the inside. But what about the Oz characters? Using the external and internal characteristics as a guide, we could see the Tin Man and the Scarecrow had swapped characteristics! Tin Man was Controlled externally, but driven by Feeling internally, while the Scarecrow was Uncontrolled externally, but driven by Logic internally. Buoyed by this insight, we divided all eight archetypes into two characteristics each, creating a set of sixteen. Using these, other Oz characters and eventually characters from many other stories were analyzed, and followed the same kind of mix and match patterns as well. In fact, we couldn’t find a character who couldn’t be described as being comprised of these basic characteristic building blocks we had discovered. So, we named them “elements” as they were the smallest structural components into which characters could be broken down. And then two things happened. One, we found the sixteen characteristics could be grouped into four quads. Each quad had four characters in it – one archetype and its opposite in each of the two pairs. So, the elements of Protagonist and Antagonist shared a pair relationship in one quad, while Reason and Emotion shared the other pair relationship in the same quad. From this we learned more about the relationships among the elements in every quad, which eventually led to our concepts about the Dynamic, Companion and Dependent pairs. That particular concept is pretty complex, and since this article is not about explaining Dramatica but rather to document how we came up with it, just check out the Dramatica theory book and you can read all about it. The second thing that happened was that we found some of the words in our four quads of characteristics were already in our wall of post-it notes. So, it didn’t take long to start reorganizing the post-it notes to include the new characteristics and also to rearrange the notes along the lines of the way the archetype quads worked. At this time, we were already realizing that while the Main Character was driven by psychology, these other characters, these archetypes, were driven like automatons – to act as their characteristics demanded. We also realized that the Main Character was not separate from the archetypes, but was one of them. In essence, the Main Character, while most usually built from the Protagonist, could and was frequently some other archetype. So, the archetypes represented the kinds of approaches we might made and those were like personality types. But, we (authors) effectively choose one of those types to explore more deeply in terms of their psychology, and that becomes the character the story seems to revolve around. Whoa. This was pretty good stuff. Now who came up with all this? Both of us. It was the constant playing of these questions and concepts back and forth between us that led to tiny little advancements in understanding by one of us and then the other, often alternating for a long time before we arrived at the enlightenment at the end of the tunnel. When there was a big breakthrough, it was often arrived at simultaneously, and even spoken out loud simultaneously as we both took the last step of inspiration at exactly the same moment in synthesis. But this wasn’t always the case. For example, I was looking over our constantly revised wall of post-it-notes in the conference room one day, trying to rearrange some of the psychological elements of the Main Character and I just couldn’t make some of them fit. It seemed as if they didn’t really describe the main character but actually described the psychological nature of the whole story. I wondered, was this the psychology of the author? Perhaps the psychology of the audience? Maybe it was the psychology the author wanted to create in the audience? And then I had my Eureka moment: It was the psychology of the story itself. The story actually had its own psychology, as if it were a character, independent of the Main Character! Immediately, I returned to the wall to show him what I was seeing, and then we began the long process of yet again rearranging the notes, but this time by separating all the psychological elements into two areas – those that described the Main Character’s mind and those that described the story’s mind, which we called, obviously, the Story Mind. Now, while it is true I’m the one who first thought of this, it is also true that rather than being a great insight, it was really the next step in the long line of thinking we had done together, precipitated by our recent work and the long hours I had to just stare at the wall looking for patterns. So, it could have been either of us, and is based on the work of both of us, but I’m still kinda proud of it because I remember to this day what if felt like to think of it, and it was shattering, startling, like reality broke apart and revealed a bigger truth behind it. Here’s another inspiration I had about this time (and I can’t recall if it was just before or just after discovering the Story Mind). We already had the four quads that represented justification – the linear process of moving from essential internal issues to contextual external issues. We also knew that some elements had greater “weight” than others and therefore that certain quads had greater weight then others. And in this atmosphere I began using some of the post-it-notes as category names into which other elements or quads belonged, rather than using all the notes as equally weighted elements. Along the way, i discovered that sometimes a single post-it-note was sometimes best understood as the name of a specific single quad. For example, we had five words, Morality, Faith, Disbelief, Conscience and Temptation. Which ones were equal weight and had the right relationship to be a valid quad? After messing around with various combinations, we determined that the four that best went together as pairs were Faith, Disbelief, Conscience and Temptation, and that Morality was better used as the name for that quad. In other words, Morality is the umbrella concept in which Faith, Disbelief, Conscience and Temptation operate, but it also worked equally well in reverse: Morality was created, in fact, by the existence and interactions of Faith, Disbelief, Conscience and Temptation. It was commutative, and also described orders of magnitude. And it was working with several of these newly named quads that I had my next inspiration: perhaps these quads were actually not on the same plane, as it were, but were nested so that elements made up quads, and the names of the four quads actually formed a higher magnitude of quad, and so on. What a jolt! What we had thought was a flat periodic table of story elements was actually multi-dimentional. We needed a vertical axis to the thing – hard to do on a flat wall. Still, by grouping elements into quads and then grouping them into quads of quads and so on, we were able to not only better organize the items and see the levels of magnitude, but also to see even better where semantic terms were missing – spaces in quads of all magnitudes that had not yet been observed directly in stories nor could be calculated by TKAD until unseen gaps became obvious by arranging all the quads on different levels. Not as big an insight as the Story Mind concept, but just as useful in the ongoing construction of the chart and, as before, the result of our combined efforts, though I made that final mental step. Not being overly humble or self effacing here. I’m very proud of being the one to be the first to think of the model as being multi-level, but also ready to admit I stood on top of a mound of our joint body of work and just reached up one more step from where we both were. And, Chris was still spending most of his time running the company while I could devote all day, every day to the project. You see my thrill is not in competing with Chris, and we’ve never really done that. My thrill is in being first on the planet to think of something. Trodding new mental ground no one in the history of humankind had ever walked before. That’s what excites me. Then I lose interest and move on, while Chris has the capacity to make it all practical, both his insights and mine. And along those lines, there may be a lot of the things I note as being “we discovered” or “we realized” when Chris actually had the first insight. I don’t really recall a lot of it, and Chris would be the better source of his own recollections as to what he personally came up with. Point is, that the only time I mention that I was the one to think of something is when I have a clear detailed memory of the actual moment when it occurred to me. Otherwise, it was both of us or Chris. So, here’s one of those things that was either Chris or us – in putting together the revised arrangement based on the Story Mind, the levels of magnitude and the elements from the characters, we came to see that there wasn’t just one collection of story elements, but two. It was like the story’s psychology was of two minds – half of it about internal issues and half about external ones, just like our archetypes only at a much larger scale. Then, we hypothesized that perhaps there were two things here, mixed together – a Story Mind we called “Mind” and a parallel structure pertaining to the external environment which we called “Universe.” We felt that one represented how we saw the world and the other how we saw ourselves. So, in a sense, they were both parts of the Story Mind, but one looked inward and the other looked outward. Essentially, each set was a different perspective. So, our next step was to separate all the post-it-notes into two independent sets, one with the internal perspective and the other with the external perspective. This wasn’t as easy as it sounds because each perspective is built of many different elements which, because of the progression of TKAD, are more of a spectrum ranging in the Mind set from purely internal all the way to just this side of external. And, naturally, the Universe perspective operates the same way. In fact, by the time we worked our way from the highest magnitude perspective (pure Mind or pure Universe) to the elements of the “smallest” quads, like those containing the character elements, the two perspectives are almost looking at the same thing. Consider – real Truth cannot be seen, but we approach it by looking within ourselves and also looking out toward our world. What we see in each direction reflects what we see in the other. And in the emerging Dramatica model, it seemed to us that the elements of each perspective were really the same items – just seen from two sides, an interface between the two. So, we came up with a graphic representation of each set – two pyramids, one for Universe and one for Mind, with the same elements at the bottom of each because when you got that far down, it turned out the items in the quad one level up resolved themselves, were made up of the very same basic building blocks. Problem was, that when you start at the top point, then go down to the quad beneath it (four items) and the four quads beneath that (sixteen items) and them to the bottom sixteen quads (64 elements), it turns out the elements aren’t in the same position as those in the Mind pyramid. Then perhaps the element level was a shared level – a true interface between Universe and Mind. That didn’t work either. Our best explanation was that since these were two perspectives, perhaps it was like looking at the world through two different filters, and each distorted the view of the same central Truth. As we continued, we began to feel that two pyramids were not sufficient. This was due to a number of simultaneous influences. First, if everything seemed to be based on the TKAD quad, shouldn’t there be four pyramids instead of two? Second, we were still analyzing films and were discovering dramatic elements that did not easily fall into our two pyramids of quads. One thing we would never allow ourselves was the luxury and false comfort of pretending something worked by forcing it to fit or by bending the logic by which we had developed our structure. And finally, we began to see there were two kinds of elements in each pyramid – those that dealt with states of things and those that dealt with processes. So, we kept Universe and split out all the external processes it contained into a new pyramid called Physics. And we kept Mind and split out all the internal processes it contained into a new pyramid called Psychology. We spent even more time filling in the gaps and spaces, sometimes having to re-define existing words and sometimes inventing new ones where no existing ones existed for the meanings we were discovering in our refined model. Now we had four complete Domains, an external state and process and an internal state and process. And from that point forward any dramatic element we observed in stories was properly described by an element in one of the four Domain pyramids. In all, it took us nearly two years of full time effort to progress from that wall initial wall of post-it notes to the four Domains we now had. Still, the pyramids were cumbersome and difficult to use. So, Chris came up with an inspired re-design. Rather than representing each element as a point in a pyramid, he re-drew each Domain as a tower with the top item, such as Universe the whole top level, and then beneath it an equal-sized level which was divided into four equal quadrants to make that second level a quad. Below it was a quad of quads, and at the bottom level of each Domain tower were the sixty four elements. Brilliant design, and the one we still use today, twenty years later. We came to realize that one of the four Domains would describe the issues explored by the Main Character, one by the Obstacle Character who had a diametrically opposed philosophy to that of the Main Character, one Domain would be the Subjective Story in which the Main and Obstacle duke it out philosophically – essentially the course of their philosophic or message argument, and the final Domain would be the Objective Story in which all the other characters like Protagonist and Reason would go about their functions. There were many other revelations from our work, such as that some Main Characters change to adopt the Obstacle’s philosophy and some would remain steadfast in their beliefs, be that good or bad. We could chart the course of the Main Character’s Justification and the growth of its philosophic argument with the Obstacle character. We could even chart story points such as Goals and Requirements. But there was one thing the Dramatica structure could not do. I could not tell us the order in which the elements in the quads would appear in a story. We could observe that each primary quad around which a story centered would be explored over the course of a story until all four items in each central quad had been examined. But the sequence eluded us. We spent weeks and weeks trying to figure out the pattern. We watched endless numbers of movies and found that if we plotted each item as it happened within a quad, it would generate different patterns in different quads. We catalogued the patterns, compared them from film to film, but couldn’t crack the code. This problem lingered on and on. Chris created charts and graphs. I rearranged more post-it-notes. Chris built a series of blocks on a shoe string (not meaning a cheap price but threaded along an actual shoe string!) I tried wrapping foil tape around a toroid (a one-foot in diameter styrofoam donut) in a quad helix, labeled with the elements of each Domain on a different color tape. Still, no progress. And then came another of those Eureka moments which, as often happens, is when the mind is primed for a solution and just needs some similar dynamic system to appear in every day life to suggest the solution to a problem in a completely different area of subject matter. In my case, I was taking my daughter to the California Museum of Science and Industry in Exposition Park in L.A., near USC. And we stopped at a hands-on display of twenty-one bar magnets mounted on metal rods so each could rotate independently like the needle on a compass. You could rotate the magnets by turning the top of the pin that held them. If you turned the first magnet in the row at just the right speed, it would make the second one turn, and if you got the speed just right, you could get all twenty-one magnets to rotate by just turning the one. And that’s when it hit me. The structure we had created, first on a flat wall, then as pyramids and finally as towers wasn’t really static at all. In fact, it wasn’t the patterns of the sequence in the story that were moving, it was the structure itself! Right at that moment I knew I had the answer. But, being a weekend, I couldn’t get into the office until Monday. As soon as I did, I tried out a few combinations and realized that simply rotating the quads like magnets solved some of the patterns but not all of them. And then I had another inspiration – that perhaps the quads also flipped along their axes, swapping the positions of the elements in the quad along the diagonal. I soon discovered that by a combination of a single flip along one axis or the other in combination with a rotate one item to the left or one to the right, all of the patterns we had seen in stories could be replicated! Problem was, what determined whether a given quad flipped one way or the other and whether it rotated to the right or the left? I filled in Chris and Steve and started working on the issue. But, damn it was hard! I was still having my hormone doses adjusted and sometimes the frustration just drove me to tears. What’s worse, costs were mounting on this multi-year development process and Screenplay Systems needed to release something soon or they couldn’t afford to continue development. It was almost Christmas and that is when Chris had to tell me that if I couldn’t figure it out in two weeks, they were going to pull the plug. I was now under even more pressure than I had been when I came up with the equation. So I went “all in” and took all of my mind, all of my self out of my mental “ram” and compressed it onto my mental hard drive. i freed up all my mental processing space so there was nothing of me left for the duration of this effort. And then, the answer began to emerge. The flips and rotates represented the kind of tension that was being wound up in the model – the dramatic tension in a narrative. Each kind of tension caused a flip or rotate of one sort or another in specific quads along the primary line of tension. For example, a story that was driven by actions would have one effect and a story driven by decisions would have another. A character who would eventually change was driven by one kind of tension (and therefore one kind of flip and/or rotate) and a steadfast character would be driven by another. Determining what these kinds of tensions were was difficult, and Chris and I worked on that together. But connecting particular kinds of flips and rotates to particular types of tension (which we named story dynamics) was my job. Now, I don’t think I finished in the two weeks, but I did make enough progress to buy some more time. And, as I recall, I completed it in about a month. Keeping all those mechanisms, all of which interrelated and affected one another, in my head at the same time was the single biggest thought I had ever had. It blocked out all the rest of me and took up all the space in my head. It hurt. But I did it. In fact, I devised a system whereby the end product of all the flips and rotates was a “wind-up” of the Main Character’s domain and another of the Objective Domain so that it was, as Chris has described it, like winding up a Rubik’s cube in which all the pieces are connected by rubber bands. When it was finished, all the patterns that had made no sense became simple and predictable, and we were actually able to determine the order of events in a story just by answering questions about the kind of tension in the story and where it was applied to the structural model. Now I’m not sure if it was before or after I worked out the “Justification Wind-up” as we came to call it, but one other problem was locking down the pattern of the elements at the bottom of each Domain. We knew they were the same elements, but in what pattern did they alter from one domain to the next. The day I figured that one out I had all the elements cut apart in little squares spread out all over the carpet in Chris office while he worked at his desk. I kept moving them around and rearranging them in different patterns until one pattern made me stop and stare. It was an elegant pattern of symmetry and simplicity, just like the quad itself! And, it was the touchpoint between a quad view of the world and a binary view of opposites. The secret was that the individual elements didn’t shift around, but the binary pairs of elements did so that, for example, Faith and Disbelief would never be split or separated, but that pair might be separated from Conscience and Temptation as a pair. The pairs moved, not the elements, but in what manner, in what pattern? Again, I employed my understanding of the manner in which TKAD related to one another and translated that so that one Domain had the T pattern of pairs, another had the K pattern of pairs, and so on. Finally, that problem was solved as well. We were now getting good predictive results from the computer model of these relationships that Steve had built for the software. But there were still some things that didn’t quite fit without forcing it or changing context to make them fit. We figured that was as accurate as the model could be. Now I think it was me that saw this, but it might have been Chris or the both of us, but just before we were going to master the software, we went to Steve and told him that we felt the elements were in the wrong places at the bottom level. In fact, the entire element sets at the bottom of two Domains had to be shifted and exchanged with those from the other two Domains. He asked why, and the answer was that while the TKAD rearrangement of the pairs of elements was correct, which Domain was the T or K arrangement, for example, was not as simple as just putting the T pairings in the T Domain and the K pairings in the K Domain. What we had failed to consider was that from the top of Domain through all four levels to the bottom – this was also a quad. And by the time you went from the top of the vertical quad of any Domain to the bottom, the effect of moving “around” that quad caused it to rotate ninety degrees like a helix. This put the pairing arrangements ninety degrees out of phase with the TKAD nature of the top level of the Domain. Stupid vertical quad! Thank goodness we caught it before it was released, because after Steve made the change, accuracy was increased tremendously. And that arrangement has never been altered as it is completely predictive of what actually happens in narrative. Now there were a lot of other insights coming to us all in those heady days. For example, I haven’t mentioned anything of the story points like Story Goal, Main Character’s Problem and Subjective Story Benchmark. There are several score of them, and they were discovered when we were watching all those films. At first, they were all lumped into the overall collection of Post-it notes, but eventually we realized they weren’t elements, they were contexts – they were descriptive of how the elements were employed. For example, one item on the notes on the wall was Obtaining and another was Becoming. A story might have a Goal of Obtaining or a Goal of Becoming or any of a number of other types of goals, but each one was a different kind of Goal and therefore drove the story in a different direction. Goal, and all the other story points, contextualize the elements, showing how (as a result of the Justification process that build potentials and tensions in the narrative structure as it winds up) the meaning of an element changes, depending on whether the Story Mind employing it as a Goal or some other story point. Now in the middle of all this, Chris came up with a couple of really big insights. First, we had already tied the four Throughlines (I, You, We, and They as represented by the Main Character, Influence Character, Subjective Story and Objective Story) to one of the four Classes (Universe, Mind, Physics and Psychology) to create four Domains. Which of those four points of view went to which Class was part of what determined the Justification Wind-up. Chris went beyond that to consider the impact storytelling style on the way in which the four Classes came across to the audience. He devised an understanding that there were four “flavors” of storytelling / audience impact – Drama, Comedy, Entertainment, and Information. He built a table in which these four means of expression along one side and the four Classes along another created a grid where they overlapped. For example, he could see that the Physics Class could be presented as a Drama (Action Drama), as Comedy (Physical Comedy), as Entertainment (Thrills) or as Information (How it Works). Going along the Comedy line, Comedy and Universe created (Situation Comedy), Comedy and Physics created (Physical Comedy), Comedy and Mind created (Comedy of Manners) and Comedy and Psychology created (Comedy of Errors). This grid of sixteen flavors of Genre revolutionized the understanding of what Genre really is and how to use it. I added a couple flourishes, just as Chris often did with my work, which is how we both contributed to everything, no matter who thought of the kernel of it first. Another of Chris singular contribution was a complete theory of Propaganda – how it works, and how to do it. In fact, he wrote a whole chapter about it in the Dramatica Theory Book. Speaking of which, here’s some information about how the book was written. Basically, I wrote it, Chris edited it, created all the graphics and illustrations, and formatted it for printing. Of course, it was really a collaboration in terms of the ideas, and Chris was a taskmaster when it came to anything I’d penned that was unclear, not in the best order, or missing a critical bit of reasoning. And it was a good collaboration, as I’m pretty handy with a word (as you can tell from this article) and Chris is great at assessing linear impact of the development of a thought. So, I wrote it, Chris contributed his chapter on Propaganda and did the illustrations and editing, and we both organized and arranged it to ensure that everything was in there, all necessary gaps and in-betweens were developed and filled. And, as it turned out, just the process of trying to document our theory led to a better understanding of the theory and even the creation of new theory as needed to fill holes in our logic. All that was left to do was print the book, duplicate the software and release the puppy. Well, that pretty much brings us to the end of Part One of “How We Did It.” Naturally, with a process this long and a theory this big, I’ve left out a lot of specifics and details. But, I do believe I’ve documented the key breakthroughs and the logic behind them to satisfy (or at least mollify) a good chunk of the curiosity that’s been lingering around the edges of this thing. Coming in Part Two is the description of how we were able to advance the theory from its use in fictional narrative to being an accurate tool of analysis and prediction in the real world and the ongoing development of the Dynamic Model – a complete system for understanding narrative in terms of the pressures and tensions at work within it.